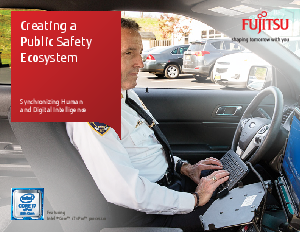 White Paper Published By: Fujitsu America, Inc.
Crime overall is decreasing, but chaotic events such as extreme weather, domestic terrorist attacks, gun violence, and opioid-related emergencies are increasing, requiring highly coordinated response protocols. From raucous inner cities to sleepy suburbs, the scope and nature of these threats demand a new way of thinking and acting– a new, frictionless collaboration among agencies, departments, and vendor partners. This is the next phase of digital age public safety. As more public safety leaders get introduced to sophisticated surveillance and big data technologies, they realize the benefits are within reach. Find out how by downloading today!